Are you confused in choosing between Nikon Coolpix AW100 and Nikon Coolpix AW110? Well, the two models indeed look very similar to each other. Actually, Nikon Coolpix AW110 is a newer version that replaces Nikon Coolpix AW100. However, the newer version is not always better than the older version. In the following article, we are going to see how Nikon Coolpix AW110 compares to Nikon Coolpix AW100. So, before you make your choice, continue reading below! Both models use the 28–140mm F/3.9–4.8 zoom lens. But Nikon Coolpix AW100 does not have any image stabilization, so it is very prone to blurs. Nikon Coolpix AW110 has been improved with a built-in optical image stabilization, which is useful for compensating the blurs caused by mechanical vibrations and unsteady hands. 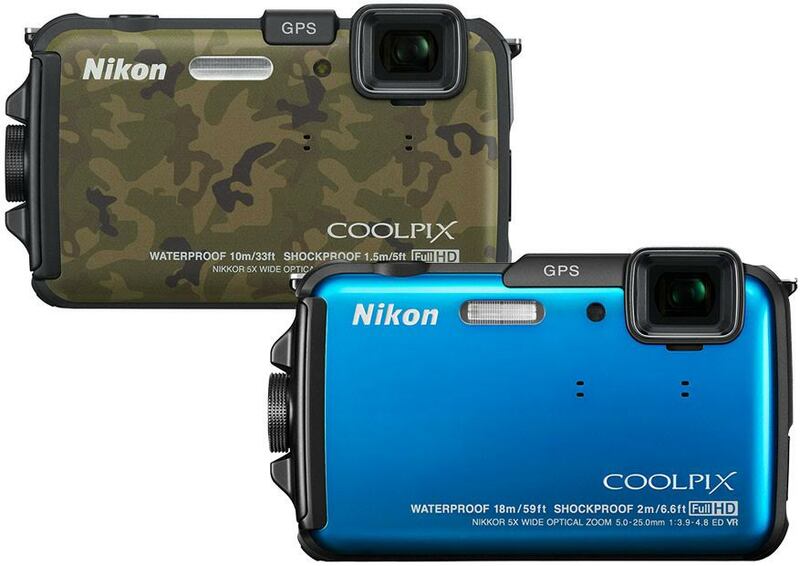 Nikon Coolpix AW100 has built-in GPS for tracking its location, but it has no wireless connectivity. Nikon Coolpix AW110 has been given built-in Wi-Fi for easy file sharing across different devices. Both Nikon Coolpix AW100 and Nikon Coolpix AW110 are equipped with similar 16 MP 1/2.3” CMOS sensors, so, in terms of image quality, we can expect that they deliver similar levels. They have decent image quality, with fine details and full, vibrant colors. Nikon Coolpix AW110 has received an improvement in the video sector, as the maximum video resolution has been increased to 1920 x 1080. However, the maximum ISO is only 1600 and the maximum shutter speed is only 1/1500s. On the other hand, Nikon Coolpix AW100 actually has 3200 maximum ISO and 1/2000s maximum shutter speed. These two features will allow you to be more creative and adapt to more lighting challenges, but casual users rarely care about these two features. Nikon Coolpix AW110 is a generally better model that is great for casual users looking for a reliable point-and-shoot camera. It now has Wi-Fi and Full HD video quality. The optical image stabilization is very useful for improving the image clarity. Nikon Coolpix AW100 has better maximum ISO and shutter speed, but the lack of image stabilization and wireless connectivity are unfortunate.